The REACTION consortium consists of 15 organisations from nine different countries representing a wide taste of Europe in terms of population, culture and economic power. The consortium unifies a number of research groups that have a world leading position in their respective fields. 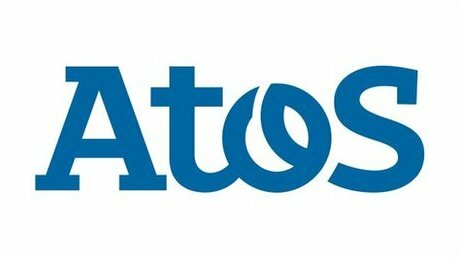 Atos is an international information technology services company. Its business is turning client vision into results through the application of consulting, systems integration and managed operations. The company’s annual revenues are more than EUR 5 billion and it employs over 46,000 people in 40 countries. Atos Research is the Spanish branch of this leader European IT services Company and a founding member of the European Technology Platform NESSI (Networked European Software and Services Initiative). Atos Research & Innovation, ARI, the node of R&D of Atos in Spain, is focused in projects which combine the most advanced technological developments and the economic exploitation of results in R&D. CNet Svenska AB is a leading-edge software house specialising in semantic-based knowledge and content systems. We are developing systems to acquire, organise, personalise and share the knowledge embedded in web, databases and multimedia content. Our technologies achieve semantic interoperability between heterogeneous information sources and services, and allow our customers to maximise automation of the knowledge life cycle. The core in our offering is Visual Net Server, a semantic annotation server. It is used to capture knowledge from raw information and multimedia content in webs and other distributed repositories to turn poorly structured information into machine-processable knowledge. DELTA is a technology provide within electronics, microelectronics, acoustics and optics. DELTA provides development services for electronic system developers and is well know for a history of more than 60 years in testing electronic systems. DELTA has 230 employees and has its main income from providing services to the industry end OEM-components with in optical systems and microelectronics. A minor part of the turnover is on technology transfer project mainly based on contracts with the Danish government. IMM is a non-profit research and technology institute having a public service mission, owned by the local government of the German federal state Rhineland-Palatinate. As a service provider, IMM is developing together with industry system technology to solve complex analytical problems in order to achieve principle solutions for biomedical analysis and diagnosis, industrial analytics and environmental analysis. Expertise in the required processes and methods for the realization of microstructures (precision engineering, structuring technologies, surface modifications) as well as their project oriented development are the basis for the success in national and international projects. The Foundation for Research and Technology - Hellas (FORTH) is one of the largest research centers in Greece with well organised facilities, highly qualified personnel and a reputation as a top-level research foundation worldwide. FORTH reports to the General Secretariat for Research and Technology of the Hellenic Ministry of Education and Religious Affairs. The Institute of Computer Science at FORTH (FORTH-ICS), since its establishment in 1983, is a pioneering contributor towards the deployment and adoption of Information and Communication Technologies in Greece. The Fraunhofer-Gesellschaft zur Förderung der angewandten Forschung e.V. (FhG) is an autonomous research organisation with a decentralised organisational structure, which currently maintains 56 research institutes in locations throughout Germany. The Fraunhofer Institute for Secure Information Technology (SIT) is dedicated to provide scalable IT security in conformance with the needs of the marketplace. 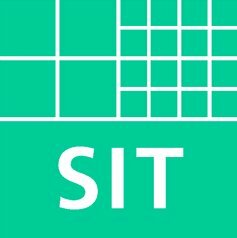 SIT is one of the pioneers within the field of IT-Security in Germany and Europe. FORTHNET S.A. is a leading provider of broadband network services in Greece. The company was established in 1995 to be the first commercial Internet Service Provider in the country. Starting from the Internet access services arena in 1995 up to today, FORTHNET has entered both the telecommunications and network services business, being a convergent services provider offering from voice telephony to Internet and value-added services. The company has a total of 450.000 subscriber lines and FORTHNET customer base comprises a major part of the Greek Internet community and the market of alternate voice telephony & network providers. In-JeT ApS has been engaged as concept and technology developer in Pervasive Computing since 1998 and has extensive knowledge about wireless technologies, networks, Semantic Web Services, ontologies, and Knowledge Management. Since 2000, In-JeT has specifically been working with eBusiness and eHealth services in heterogeneous networks. In-JeT has increasingly been incorporating socio-economic and cross-disciplinary research tasks in technology development and is working with sociologists and anthropologists to define boundary conditions and analyse and integrate ecosystems in technology development. 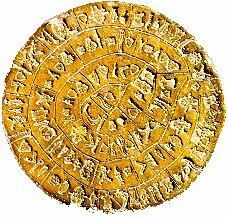 We have also pioneered methodological techniques such as scenario thinking for deriving comprehensive user requirements. 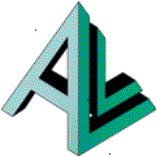 Applied Logic Laboratory (ALL) is a R&D SME company established in 1986. Its main research areas include computer science, artificial intelligence, cognitive systems, modelling of systems of high complexity, medical and biological informatics. The company unites expertise in system modelling and design, knowledge engineering, signal processing, neural computing, data analysis and data mining, natural language processing, and decision support. ALL has contributed to establishing the IT infrastructure of patient-centred new healthcare institutions and web-based information systems for virtual hospital department. Founded in 2004, Medical University Graz (MUG) is a young university, comprising 16 Research Institutes and 23 Clinical Departments as well as a Center for Medical Research. MUG is embedded in a 1600 bed University Hospital. The division of Endocrinology and Nuclear Medicine at the Department of Internal Medicine offers extensive outpatient services and a 20-bed inpatient general ward with special emphasis in the treatment of diabetes and associated metabolic disorders. Research interests focus on areas, such as overall metabolic control, pathophysiology of late complications, cardiovascular endocrinology, vascular biology and on the investigation of new pharmaceutical approaches for the treatment of diabetes mellitus. The Institute of Medical Technologies and Health Management (MSG) is an institute of the non-profit technology centre JOANNEUM RESEARCH (JR). JR is concentrating on applied R&D with a highly qualified staff of more than 400 people. MSG develops tailored applications for regional and national disease management programmes, patient care and epidemiology. MSG has strong experience in workflow modelling and implementation of information systems in healthcare for administration, decision support, information retrieval, quality management and interoperability. 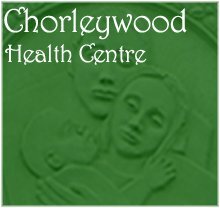 The Chorleywood Health Centre was established in the 1920s and has been serving the community in Chorleywood and its surrounding villages in Hertfordshire and Buckinghamshire ever since. The purpose-built surgery was opened in 1997 and provides comprehensive general medical services including treatment and prevention of illness, health promotion and screening services. We are active in medical and nursing research, training and education. The practice works within the National Health Service and is a member of the Watford and Three Rivers Primary Care Trust who manage the provision of general practice in the area. . The Department of Information Systems and Computing at Brunel University is one of the largest departments of its type in the UK and members of the Department were awarded a rating of '5' in the last Research Assessment Exercise (RAE). The department is particularly known for three key areas underlying this vision: advanced information technology, interaction between human and computer, and information systems. There is a critical mass within each area that makes significant progress on its own, and importantly, the synergy and interaction between the three areas have enabled fundamentally challenging issues across traditional boundaries to be addressed in an interdisciplinary way. 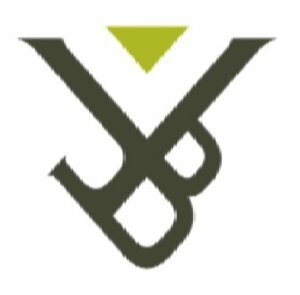 The Vrije Universiteit Brussel (VUB) interdisciplinary Research Group on Law Science Technology & Society (LSTS) was founded in November 2003, and is devoted to analytical, theoretical and prospective research into the relationships between law, science, technology and society. 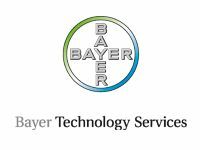 Bayer Technology Services GmbH offers fully-integrated solutions along the life cycle of chemical/pharmaceutical plants – from development through engineering and construction to process optimization for existing plants. BTS also offers a broad range of products and services for all stages of diagnostics and drug research and development. Examples include nanophosphors, the pharmacokinetics simulation software PK-Sim®, and data-mining and modeling technologies. The activities of the Competence Center Systems Biology have been extended to modelling of all levels of biological systems ranging from molecular interaction networks to whole-body models of disease progression and pharmacotherapy.